Current/Upcoming: King Baelor and much of the court has just returned from Sunspear and the wedding of Prince Daeron to Princess Mariah. We have now entered the last year of Baelor's reign. Blood of Dragons is set in the low-magic, medieval-inspired fantasy world of George R.R. Martin's "A Song of Ice and Fire" (and HBO's "Game of Thrones", though the game is strictly based on book canon). The game is the only MUSH operated with the approval of George R.R. Martin, together with whom the game's owners also co-authored "The World of Ice and Fire". The game takes place 140 years prior to the start of the first book, "A Game of Thrones". King Baelor I Targaryen still sits the Iron Throne, with his uncle Viserys doing what he can to manage the king's increasingly erratic behaviour and see to that the realm is properly governed. In Dorne, Prince Marence -- who never recovered fully from being poisoned -- has abdicted in favour of his son, Prince Maron. The new young ruler is immediately tested as the Iron Bank comes to Dorne on the hunt for a man who defrauded them. This choice of time period allows players to explore a less defined period in the history of Westeros while still experiencing how past events referenced in the books may have played out. The roleplay is focused on the political and social interactions at the courts of King's Landing and Sunspear, with players taking up characters from various noble households. Players have a choice between CGing a character themselves or taking up a previously played, fully pre-generated role. Choose the latter option and you can often be ready to roleplay within minutes. Blood of Dragons is focused on offering high-quality roleplay in a rich, immersive setting with a strong sense of history and continuity. A key ambition of the game is to stay as true as possible to the world-building of George R.R. 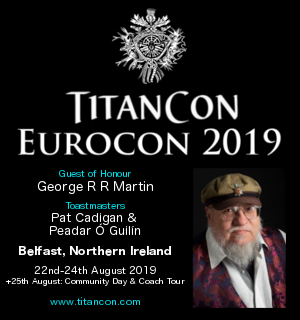 Martin and in doing so offering an authentic experience of Westeros in the time of the Targaryen kings.